On the 28th and 29th of October 2017, Rick Hopton, a Certified Quantum-Touch Practitioner and Instructor, is presenting an enlightening two-day workshop which will introduce you to the many extraordinary wonders of Quantum-Touch.Quantum-Touch is a safe, simple yet profound tool for self-healing and personal transformation. It also has remarkable healing benefits for children, adults and animals. This introductory workshop is ideal for healthcare professionals who wish to expand their skill set as well as those who are simply interested in how they can heal themselves. Over two-days, Rick will guide students through unique Quantum-Touch breathing and body awareness techniques which are used to help one raise the vibration in their own body and hands. These are natural exercises which everyone can easily perform and once you have learnt the techniques, they are yours to use on yourself and your loved ones for a lifetime! Quantum-Touch addresses the root of the ailment and creates space for true healing to occur. It will also enhance the effectiveness of all other hands-on therapies that you may use. In addition to theory, this interactive workshop includes hands-on practice and Rick will be on hand to offer practical advice and assistance. This may be the easiest and most valuable skill you will ever learn and by attending the Quantum-Touch Level 1 Workshop, you will also be on your way to becoming a certified QT Practitioner! 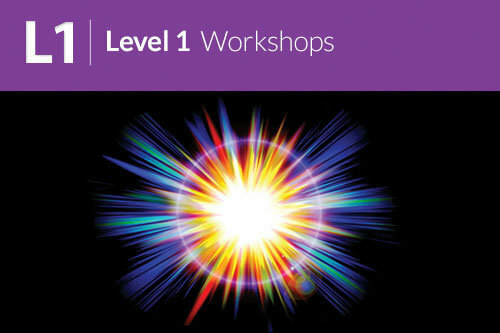 Bookings are now open for the Quantum-Touch Level 1 Workshop which will be held on 28th and 29th of October 2017 at Nada, 1 Mary St, Hindmarsh, from 9am to 6pm daily. The all inclusive price is $420.00 if paid 21 days or more prior to the workshop event date. The normal price is $500.00. Children under 18 years of age are $250.00. To reserve your place, please visit www.stickytickets.com.au. Rick is proud to be a Certified Quantum-Touch Practitioner and Instructor. He has loved this approach to healing since first meeting Richard Gordon in Dallas, Texas in February 2002. He has attended Supercharging and Core-Transformation workshops. He has Diplomas in Remedial Massage and Energy Medicine, is a member of ATMS, and is able to offer health rebates. His other skills include Myofascial Release and Craniosacral Therapy which blend beautifully with Quantum-Touch.